Getting its start in 2003, WordPress has become a hugely successful and popular choice as a website platform partly because it is a free and open-source based platform but also because of its wide range of installable and configurable plugin library. WordPress can also function as a content management system and is based on PHP and MySQL. WordPress as a platform has found its way on a large variety of website types from Agriculture to Zoo’s and everything in between and allows for detailing to an absolute personal touch. Not forgetting the E-commerce crowd, WordPress also offers a large selection of customizable website stores allowing for visitor accounts, shopping carts, product display galleries, payment gateways and even in-page product reviews as optional configurations. At Website Wizards we have design, updated and performed SEO related services on WordPress websites from the most basic to advanced product and client management sites and everything in between. We are capable of working outside of the general plugin configurations down to source file edits and alterations. We offer strictly premium design work on this platform that is SEO optimized and sure to impress. Easily expandable websites with integrated and robust content management system. WordPress websites offer a large selection of content management abilities for nearly any business or personal need. With a huge selection of free and purchasable plugins you will find upgrading your website down the road a snap verses other design platforms. WordPress based websites tend to be a far more affordable alternative to custom designing a website from the ground up. WordPress platforms offer a nearly limitless selection of tools and features allowing for complete customization of the base platform. We offer two fundamental approaches to WordPress website design. Please see the information below to determine which option is best suited to your needs. If you have questions on this or any other aspect to your WordPress website design needs, please reach out to us at any time. Already have a WordPress theme and just need someone to install and configure it? No problem. We offer theme installation and calibration services that can be customized around your particular needs. Theme installation, updating, customizing, content upload and general theme adjustments are all optional services we can provide regardless of the original theme designer. We can also offer content creation, upload and formatting services should you simply need more professionally designed pages. We offer complete, turn-key ready WordPress websites designed around your products, services or profession from basic to advanced. We work with you on a one-on-one level to determine coloring, formatting, website features and all other aspects of the design to come up with a design solution that not only highlights your business but also grabs the attention of site visitors as they view your website. Our WordPress designs uphold to the strictest standards in the realm of web development and search engine optimization ensuring your website performs well on search engine results. When a quality WordPress website maters, trust in our Design approach and work ethics to deliver on-time and on-budget. Pay nothing down to start your WordPress website design project. 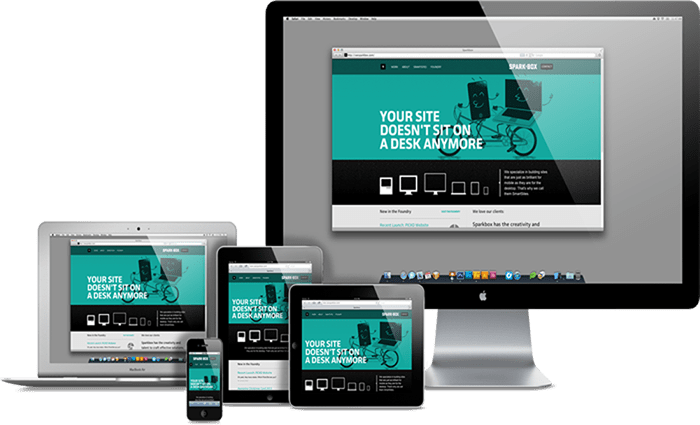 Our WordPress websites automatically adjust to different screen sizes and screen rotation. Professional grade WordPress designs, SEO optimized and tailored to your business. Experience simplicity and affordability with Website Wizards WordPress development services. After initial contact we will start by gathering the basic information about your WordPress development plans. The entire process starts by listening to you, your current business model and future goals, we take all available information and utilize it while building a clear picture of the type of website that will best fulfill not only your current business strategy today but for years to come. After we have a WordPress design concept for review, we will contact you and arrange a time to perform a presentation. This can be done over phone, skype or email depending on which works best for you. The demo website will be a fully functioning website loaded with demonstration content in order to allow you to see first hand the inner workings of the website design. After you feel confident in our WordPress design approach, we begin the process of loading and configuring the design work onto the hosting environment of your choice. If you do not already have hosting, please see our hosting plans which include hosting management at no additional cost. After you begin to see your website design come to life with your content and vision in mind you will have the confidence that our team has what it takes to meet or exceed your expectations. At this point, now that we have gained your trust, only then do we ask for a partial payment on your website development project. We believe in 110% customer satisfaction which is why we avoid upfront payments on WordPress development services. I don't currently have a website, can I still use WordPress? Yes, WordPress is a complete foundation to website design. There are no requirements of needing an already existing website in order to use it. I already have a website, can I switch to WordPress? Generally speaking, yes any website can be converted to a WordPress platform however depending on the current website, its features and design, some obstacles may need to be overcome. Please contact us for a free assessment on your websites conversion to WordPress. How well is WordPress recognized by search engines? WordPress websites do amazingly well with search engines and listing results provided the theme used is of professional quality and all industry standard design and coding practices are followed. Like with any website platform, its not so much the type of foundation your website is built on that matters but how well built the overall site is. Our website is designed completely on the WordPress platform. Think of a WordPress theme as the look and feel or the website and WordPress as the underlying mechanics of the website. Overall WordPress is a fairly secure platform and is continually undergoing updates which can be set to be installed manually or automatically and are free. Like with any platform, to maintain the highest security standards you should apply updates regularly, install only the most trusted and maintained plugins and uphold strict password conventions for administrator and power user accounts.